Have you ever tried the delicious Cezerye dessert? 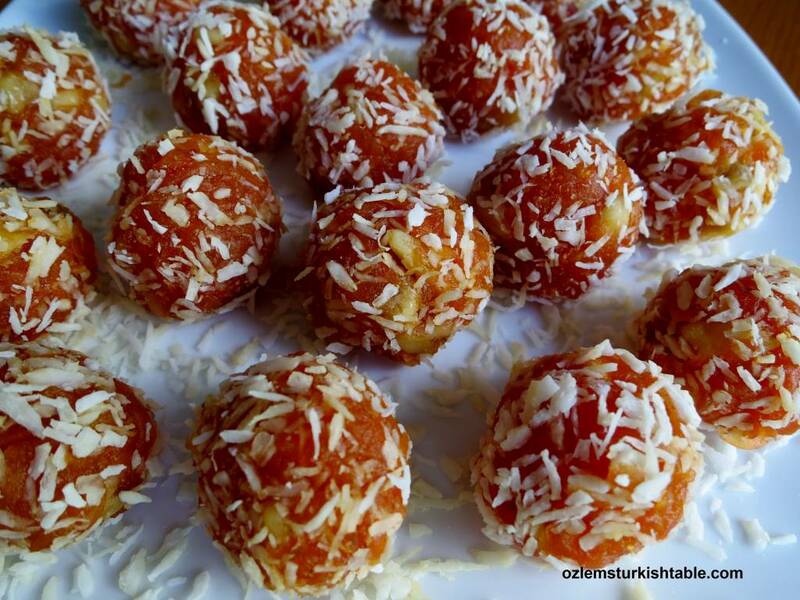 A specialty from Mersin region at southern Turkey, Cezerye is a delicious confectionery made of carrots, nuts and sugar, coated with desiccated coconut flakes. They are utterly delicious, healthy and also known to be an aphrodisiac. Spread the cooked carrot & nut paste evenly and tightly, making sure they stay intact. With my roots going back to southern Turkey, Antakya, I grew up sampling the very best Cezerye from the nearby Mersin region. Such a delicious and healthy snack, it was always available whenever we wanted some for a treat, therefore I haven’t really thought of making them when I was home. 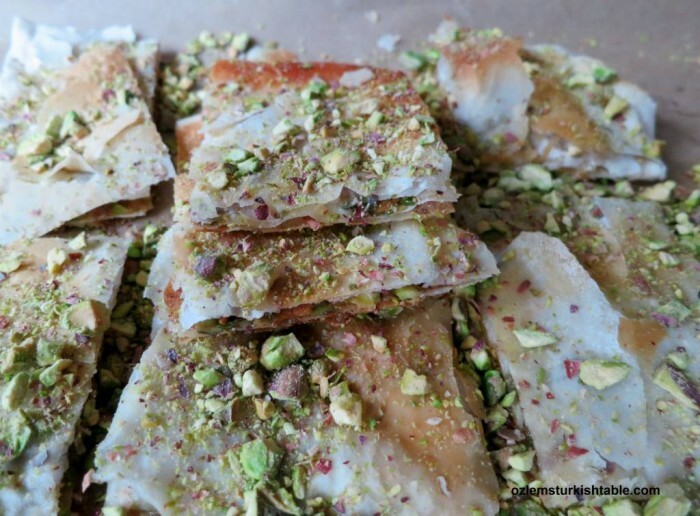 But living abroad and not having an access to these scrumptious treats make you brave enough to have a go at them, like making homemade Turkish Delights. I am delighted to report you that compared to making Turkish Delights, Cezerye is so much easier to make, lighter and equally delicious. 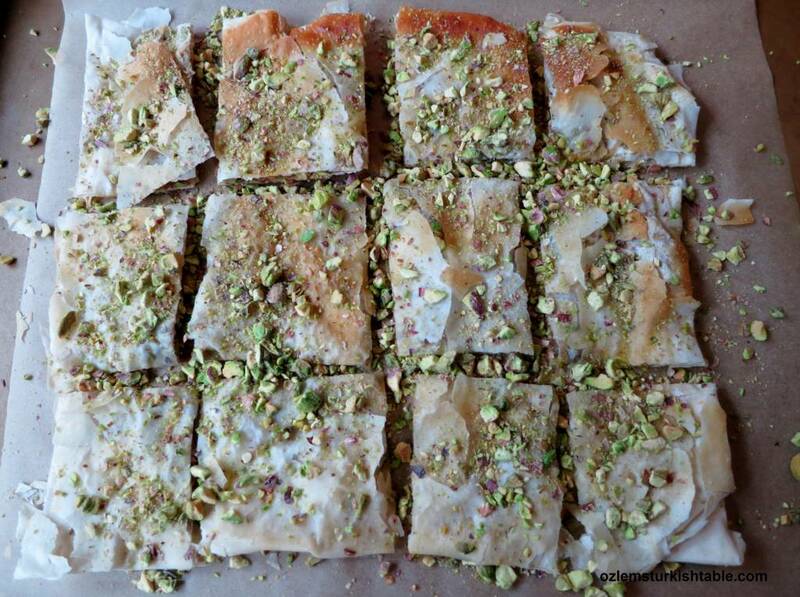 They are traditionally made with hazelnuts; I used walnuts for my Cezerye recipe and they were delicious. My children absolutely loved them! Cezerye; delicious carrot paste with walnuts from Mersin, Turkey. Carrots have never been sweeter; hope you can have a go and treat yourself, family and friends with these delicious carrot delights. Cezerye keeps well in an air tight container for a week. 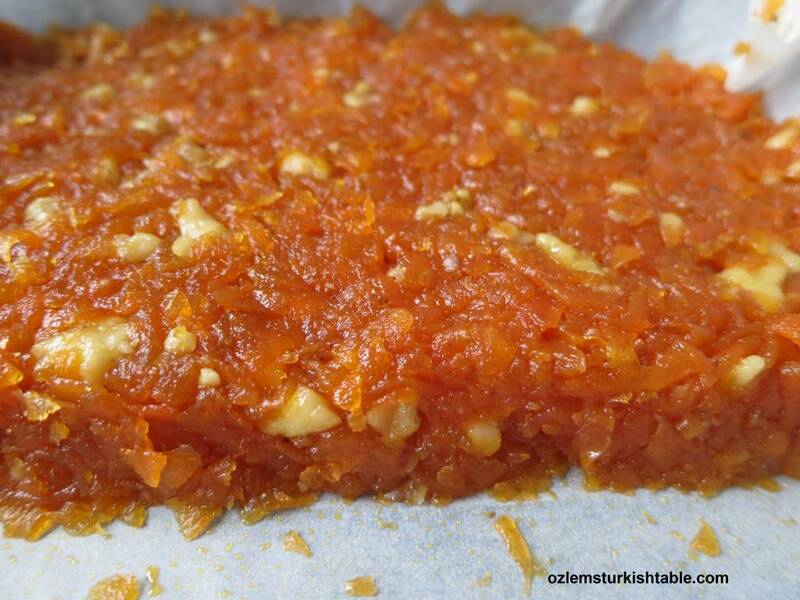 A delicious and healthy caramalised carrot paste & walnuts dessert from Mersin, Turkey. I hope you can have a go and treat yourself, family and friends with these delicious carrot delights. Cezerye keeps well in an air tight container for a week. Place the grated carrots, ½ cup water and sugar in a wide, heavy pan. Cook over medium heat, uncovered, stirring often. Cook this way for about 30 minutes or until all the liquid evaporated. Stir in the rest of the ½ cup water and cook again on medium heat, stirring continuously (carrots also release their own juice, therefore I prefer to add the liquid a step at a time so that the carrots won’t become mushy). Cook the carrots until all the juice evaporated and they are softened, this should take another 30 minutes. Using your stirring spoon, mash the cooked carrots to turn into a thick, chunky paste. At this point, they should also thicken, start to caramalise and get sticky (you can take a little bit between your fingers to test whether it sticks or not). Turn the heat off. Stir in the chopped walnuts to the carrot paste and mix well. Again using your stirring spoon, blend them all well and turn into a thick paste. 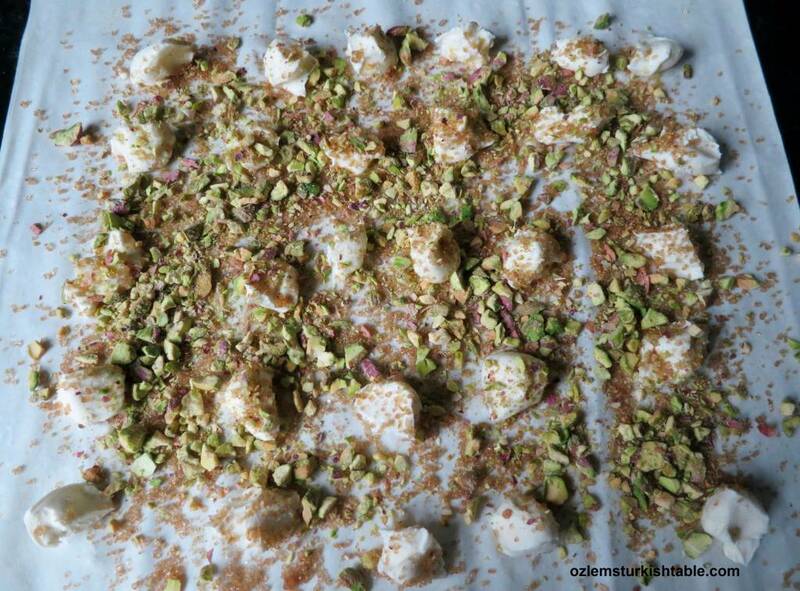 Cover a small rectangular dish or tray with parchment paper. Spread the carrot paste evenly and tightly, making sure they stay intact, with a height of 1,5 cm (0.6”). Cover with a cling film and rest the mixture to settle for 2 hours in fridge. After 2 hours, start shaping the carrot paste. Have a bowl of water near you. Wet your hands, take a dessert spoonful and shape into small round balls. Or wet your knife and cut into small squares. 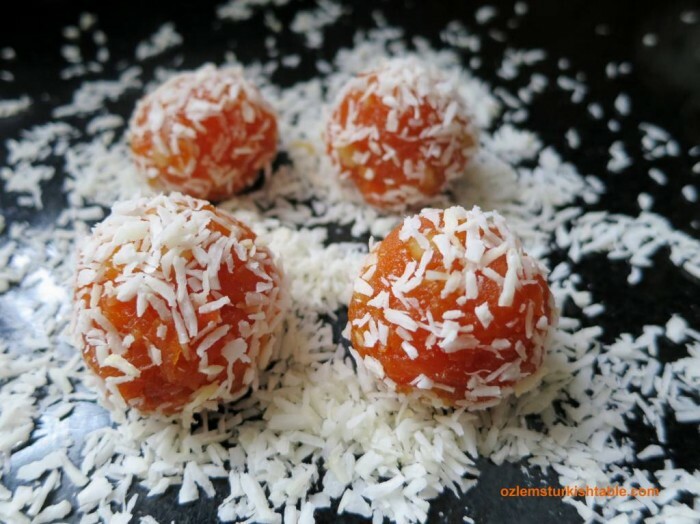 Spread the desiccated coconut flakes on a dry surface and coat the carrot balls and squares with the flakes to coat all over. Cezerye is ready to serve. Cezerye keeps well in an air tight container for a week.